Psychology of Travel: What's Up with the Travel Research Articles? 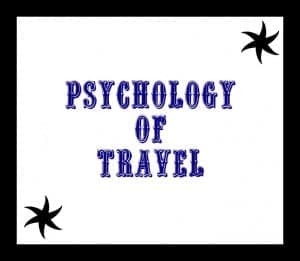 Home » Travel History & Research » Travel Psychology » Psychology of Travel: What’s Up with the Travel Research Posts? Yesterday we posted our first travel research article that can be found in the Psychology of Research section of the website. But what the heck are these posts about, why are we writing them, and how do readers know if this information is even accurate? A reader –Jackie H.—just posted a question on our previous travel research article Travel Research: Nontravelers Live More Sedentary Lifestyles Compared to Travelers asking us “What is up with the travel research articles and where do you find this info? Will these become regular features?” We appreciate this feedback and hopefully this post will better explain the purpose of these posts! What’s up with the Travel Research Articles? Good question, let me explain. I (Jessica) am a researcher and psychologist during the day, and part of my job involves staying up-to-date on research in the area of psychology. This provides me with free access to a number of academic resources that are not generally publicly available. While I don’t think many readers would be very interested in reading full-length 10-20 page research articles, my hope is that I can sort through the academic research and pass on interesting travel-related information to readers in an easy to digest manner. Where are you Finding this Information? So, as noted, this information is coming from peer-reviewed academic research. I will always fully document the source of my information as this is not my own research, but the research of other professionals. Will the Travel Research Articles Become a Regular Feature? Yes, well maybe. While the focus of the blog is definitely on providing helpful travel information and writing about our personal travel experiences, I think that periodic travel research articles are a unique addition to our blog. These blog articles will be posted in the Psychology of Travel section of the website. But it all depends on our readers and how interested they are in reading these types of posts! So if you have a thought or opinion, feel free to leave us a comment or send me an e-mail. I am also open to topic requests from readers. So, if you have a question that might be addressed in the travel research literature, let me know and I’ll be happy to investigate and report back. You’d be surprised at the things that people have chosen to research! We hope you’ll keep coming back to check out our future Psychology of Travel articles! Thank you for a great information about psychology, it very interesting. Glad you enjoyed the post. I hope you’ll check out our various posts about travel psychology, research, and history. Hi Jessica, I just want to let you know that I really enjoy your travel research articles. I think your Psychology of Travel section brings an unique element to your blog! Have you thought about writing a piece on the benefits of travel and how it has the potential to increase creative thinking? Keep up the great work; I look forward to reading more! Thanks! I will look to see if there is any research out there on traveling and creative thinking. If I find anything I will cover it in a future post. Thanks for the idea! Thanks again Jackie! We so appreciate all your feedback. Thanks Jessica, so nice to see a full-length response to my little comment! I think these research posts will make a unique contribution.